Thirty years ago, on the date in June known as Midsummer's Day, a young girl is mysteriously orphaned. Now, after a life of bizarre and troubling circumstances, she becomes obsessed with the idea that she too will die on Midsummer's Day . . . until she meets the one man who may be able to save her. Azalea Lewis's life has been dominated by coincidences-a bizarre, and increasingly troubling, series of chance events so perfectly coordinated that any sane person would conclude that only the hidden hand of providence could explain them. On Midsummer's Day, 1982, at the age of three, Azalea was found wandering a fairground in England, alone, too young to explain what had happened to her or her parents. After a brief investigation, she was declared a ward of the court, and placed in foster care. The following year, the body of a woman-her mother-was found on a nearby beach, but by then everyone had forgotten about the little girl, and no connection was ever made. The couple who adopted Azalea brought her to Africa, where-on Midsummer's Day, 1992-they were killed in a Ugandan uprising while trying to protect their children. Azalea is spared on that day, but as she grows into adulthood, she discovers that her life has been shaped by an uncanny set of coincidences-all of them leading back to her birth mother, a single mother on the Isle of Man, and the three men who could have been her father, each of whom has played an improbable but very real role in her fate. Troubled by what she has uncovered-and increasingly convinced that she, too, will meet her fate on Midsummer's Day-she approaches Thomas Post, a rational-minded academic whose specialty is debunking our belief in coincidence: the belief that certain events are linked, even predestined, by the hands of fate. Even as they fall in love, Thomas tries to help to understand her past as a series of random events-not a divinely predetermined order. Yet as the fateful date draws closer, Thomas begins to fear that he may lose her altogether, and she may throw herself into the very fate she fears. A warm and romantic, yet intellectually fascinating, story of two souls trying to make sense of the universe and our place in it, Coincidence is an unforgettable novel by a storyteller of masterful gifts. All my life, I've been a tireless, and possibly sometimes annoying, advocate of incidents in my life that are linked together, seemingly without explanation. I would read about the most obscure country in a magazine, and then turn on the television to find a documentary airing about that exact country; I would be having a conversation about the most random of things, and then later, with someone else, the exact topic will come up. Needless to say, I am endlessly fascinated with coincidences, and will always be. The fact that J.W. 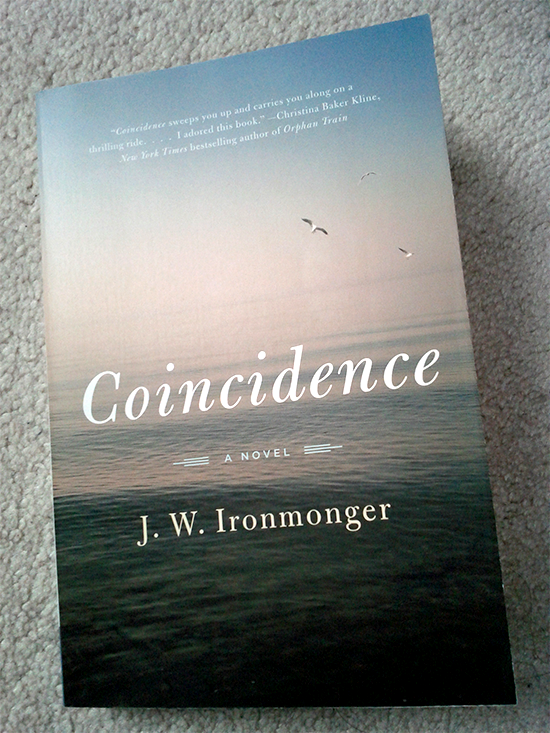 Ironmonger crafted a narrative around this very idea, thrilled me like you wouldn't believe, and once I started reading Coincidence, there was no doubt in my mind that it would become one of the BEST books I've read this year so far. Yes, one the BEST books. I say it without doubt, without regret, and with every ounce of appreciation and awe at what the author has accomplished in only 277 pages. The synopsis for Coincidence is one that is so easily explained, yet if I were to tell exactly how it made me feel, words would abandon me. But I want to try, because I want to tell you how Coincidence started it's spark in my brain, and spread throughout my entire being, until I was sure there was no more space for it to occupy. Though it did, it spread until I was bursting, and I needed to come on here and tell you AT ONCE how magnificent this book was. IT WAS MAGNIFICENT. A true testament of remarkable writing skill, and a story line that reads like the grown up version of some your favourite middle grades: in the sense that it was a story about someone telling a story. Coincidence was told in third person, with a narrating voice that I almost suspected was a close cousin to Lemony Snickett-albeit a less malicious-minded one. Azalea Ives was 'abandoned' at the precious age of 3, left alone on the fairgrounds of a brightly-lit pier. A year later, after she has been successfully adopted by two new parents, her birth mother's body washes up on the shores of that exact pier. Ten years later, on the exact date, Azalea's adoptive parents are brutally killed in Uganda, where the family was living as missionaries. Now it's present day, ten years later, and the dreaded date that all of her parents were killed on is soon approaching. Azalea can't help but fear for her life, especially when it's been completely run by a series of unexplained coincidences. She enlists the help of one Thomas Post, the "coincidence authority," and hopes on hope that he will be able to shed some light on her strange life, and potentially help her to see another ten years. The wonderment abound in this book was palpable. Every new revelation, or coincidence, was a jolt to the heart, a proverbial punch to the gut. Ironmonger's writing was profoundly poetic, and felt like an extension of a dream. 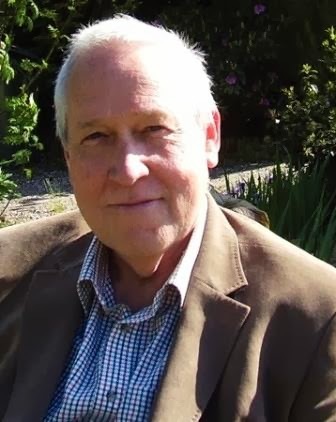 His depiction of East Africa in the late 60's was told in a voice of someone who had to have lived there himself, which he did, and was a perfect addition of setting to the story. I've said it before, but I absolutely LOVE when author's bring personal experiences into their fictional narratives, it's such a smart move, and adds such a genuine depth to their tales. There are so many appreciative parts of me right now, there are so many places in my being that are still tingling with the after effects of reading a book that spoke straight to my soul. I urge EVERYONE who has every paused, for even one second, to consider a strange occurrence-anyone who has ever wondered if there has to be more to what meets the eye. You must, must read Coincidence-a million times more "musts". Recommended for fans of: A Series of Unfortunate Events, Christina Baker Kline, Markus Zusak, mystery, drama, speculative fiction. I'm the author of 'The Coincidence Authority,' ('Coincidence' in the USA), and 'The Notable Brain of Maximilian Ponder.' Here are some things about me: 1) I'm a Cornishman who was born in Kenya, schooled in Kent, studied in Nottingham and Liverpool, worked in Nigeria and Slough and Manchester and Edinburgh and Warrington and Warwick and Glasgow but never lived in any of those places (except Nigeria), and now I live just south of the village of Market Drayton in Shropshire right at the exact geographical centre of England. Thank-you to Trish from TLC Book Tours for hosting this tour, and to Harper Perennial for sending me a print copy to review! I marvel at the coincidences in my own life, so I know this would speak to me like it did to you!! Thanks for being on the tour! Thank you so much! Exactly, such an amazing book, I barely found the right words myself. I need more from this author soon!